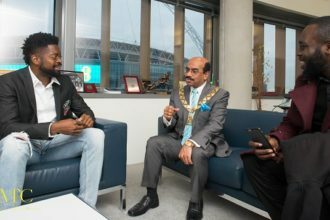 Nigerian Comedian Basketmouth will be a co-host on the set of the all new MTV Base comedy video clip series Ridiculousness Africa. 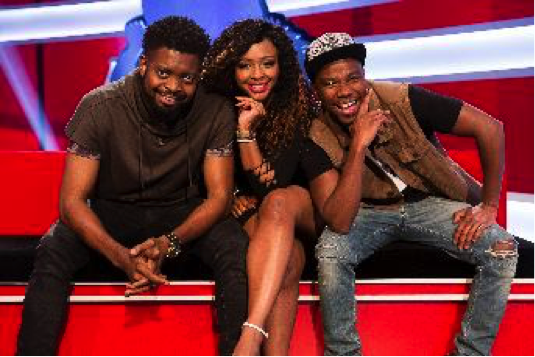 Basketmouth’s co-hosts will be South Africans Thomas Gumede and Boity Thulo. Characterised by insane antics, crazy stunts and life-threatening feats of senselessness, the show will air weekly on MTV Base, DStv channel 322. Ridiculousness Africa hunts the length and breadth of the Internet on your behalf seeking out the weirdest, wackiest and stupidest stunts ever committed to video. So, if you love to watch people doing strange, unusual and frankly idiotic things in boats, cars, bikes, pools, on trampolines and more, then this is the show for you. “I’m Ridiculousness’s number one fan and I’ve literally been glued to the screen since the first episode, so when I got the call it was like a summons from on high! I feel like I’m getting paid to do what I normally do – which is watch internet clips with my friends, and my co-hosts make my job easier because Basketmouth is funny and Boity is beautiful. We’re the dream team”.